MACON, Ga. — Blue Bird Corporation (NASDAQ: BLBD), the leading independent designer and manufacturer of school buses, announced today its fiscal 2018 third quarter results. Blue Bird Corporation delivered higher net income, up 9.3 percent from the prior year as well as solid Adjusted EBITDA of $23.7 million. Strong earnings were delivered despite higher commodity costs. “We are pleased with our third quarter performance despite significant steel cost headwinds,” said Phil Horlock, President and Chief Executive Officer of Blue Bird Corporation. “We have begun to achieve cost reductions with the Transformational Initiatives we are implementing to improve quality, reduce cost, increase capacity and ensure that Blue Bird continues its tradition as the innovator in the School Bus industry. We expect gains from implementing these initiatives and pricing for commodity headwinds in the fourth quarter and significantly in FY2019 which supports our Adjusted EBITDA margin target of 10-percent-plus by FY2020. In the near-term, we are tightening our full-year revenue guidance to $1,010 to $1,020 million, and taking our Adjusted EBITDA guidance down to $70-$72 million. “Our product focus continues to be the design of differentiated products that customers want and value. We continued our leadership in these expanding market segments and we expect another year of strong growth and leadership in sales of our alternative-fuel powered school buses. Customer reaction to our all-new offerings of electric-powered buses has been very positive, and as previously announced, Blue Bird will begin delivery of electric buses to school districts before the end of this fiscal year. Blue Bird Corporation (“Blue Bird” or the “Company”) intends to repurchase up to $50.0 million in aggregate value of outstanding shares of its common stock, which will be effectuated by means of an issuer tender offer. 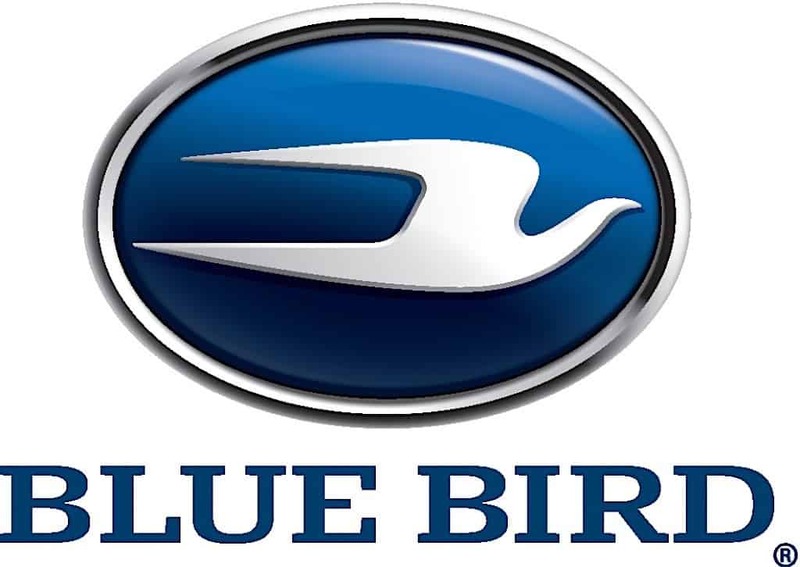 If commenced, Blue Bird intends to complete this repurchase prior to the end of the first quarter of the 2019 fiscal year with either cash on hand and/or proceeds from its credit facility. Concurrent with this announcement, Blue Bird has suspended its current repurchase program, which was authorized on June 12, 2018, to repurchase up to $25.0 million in value of outstanding shares of the Company’s (i) common stock and (ii) Series A Convertible Preferred Stock. Net sales were $314.2 million for the third quarter of fiscal 2018, a decrease of $18.4 million, or 5.5 percent, from prior year period. Bus unit sales were 3,746 units for the quarter compared with 3,849 units for the same period last year. Third quarter gross profit of $37.0 million represents a decrease of $8.0 million from the third quarter of last year. Net income was $21.9 million for the third quarter of fiscal 2018, an increase of $1.9 million compared with the same period last year. Adjusted Net Income was $25.8 million, representing an increase of $5.1 million compared with the same period last year. Adjusted EBITDA was $23.7 million, or 7.5 percent of net sales, representing a decrease of $9.2 million compared with the third quarter of the prior year. Net sales were $693.4 million for the nine months ended June 30, 2018, an increase of $15.4 million, or 2.3 percent, compared with the prior year. This was primarily driven by higher bus unit sales, which were 183 units above the same period last year. Year-to-date gross profit was $79.3 million, a decrease of $8.6 million from the prior year. Net income was $15.9 million for the nine months ended June 30, 2018, which was $1.6 million above the same period in the prior year. The increase was primarily driven by a decrease of $11.4 million in tax expense and a debt extinguishment charge of $10.1 million in the prior year that was not recurring. These were partially offset by an increase of $11.8 million in selling, general and administrative expenses and a decrease of $8.6 million in gross profit. Adjusted Net Income was $29.1 million, representing an increase of $7.2 million compared with the prior year. Adjusted EBITDA was $39.4 million, or 5.7 percent of net sales, for the nine months ended June 30, 2018, a decrease of $4.4 million from the prior year. The decrease in adjusted EBITDA was primarily the result of decreased gross profit, which was partially offset by a decrease in adjusted selling, general and administrative expenses. Blue Bird is the leading independent designer and manufacturer of school buses, with more than 550,000 buses sold since its formation in 1927 and approximately 180,000 buses in operation today. Blue Bird’s longevity and reputation in the school bus industry have made it an iconic American brand. Blue Bird distinguishes itself from its principal competitors by its singular focus on the design, engineering, manufacture and sale of school buses and related parts. As the only manufacturer of chassis and body production specifically designed for school bus applications, Blue Bird is recognized as an industry leader for school bus innovation, safety, product quality/reliability/durability, operating costs and drivability. In addition, Blue Bird is the market leader in alternative fuel applications with its propane-powered and compressed natural gas-powered school buses. Blue Bird manufactures school buses at two facilities in Fort Valley, Georgia. Its Micro Bird joint venture operates a manufacturing facility in Drummondville, Quebec, Canada. Service and after-market parts are distributed from Blue Bird’s parts distribution center located in Delaware, Ohio.